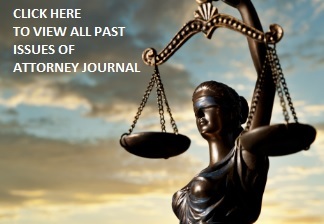 As part of our monthly editorial offering, Attorney Journal will include RECENT and RELEVANT LOCAL INDUSTRY NEWS, INFORMATION on EVENTS, and MATTERS OF IMPORTANCE WITHIN SAN DIEGO. Issue closing dates are typically the first Friday of each month for the next month’s issue. Feel free to inquire about any outside deadlines to submit new press releases.